There is a profound linkage between the quality of a university and its financial resources. The universities of Oxford and Cambridge rank among the world's finest educational institutions, and are able to draw on invested assets that are large by any standards. Endowment Asset Management explores how the colleges that comprise these two great universities make their investment decisions. Oxford and Cambridge are collegiate institutions, each consisting of a federal university and over 30 constituent colleges. While the colleges may have ostensibly similar missions, they are governed independently. 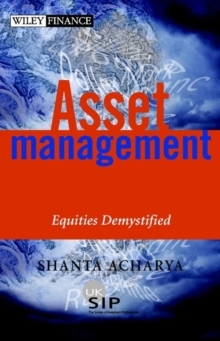 Since they interpret their investment objectives differently, this gives rise to some remarkably dissimilar approaches to investment, which the authors explore in detail. 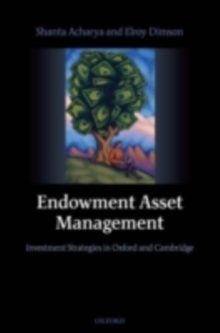 The first study of its kind, Endowment Asset Management analyses the objectives, investment philosophy, asset management and governance of over 60 college and university endowment funds. 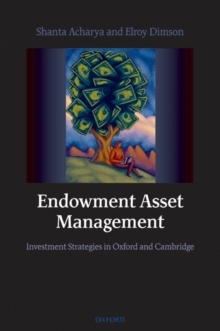 Drawing on exhaustive research and detailed discussions with Oxford and Cambridge investment bursars, the authors investigate issues such as asset allocation and spending policy, which have a major influence on the institutions' financial health. This study reveals the colleges' individualism and diversity, andcarefully analyses their strategies, which range from the traditional to cutting edge. The authors' findings are thought provoking for anyone concerned with the assets of foundations, endowments, charities, family offices, or trusts. All investors with a long-term investment horizon will find it extremely engaging.